We did a trade show over the last weekend, and the people across the way from us really made us laugh. At the 1:00 show opening, this is how their booth looked. They showed up around 1:30 and had the booth put together by about 2:30, missing an hour and a half of potential customers. But that wasn’t the worst of it. They had a show banner at the back of the booth that was made on translucent material, very sketchy and hard to read. Then they put an air conditioning unit up on a stand in front of the banner so you couldn’t read half of it. The whole booth was crowded and disorganized. Too much stuff. If you looked at the booth, you had no idea what they sold. Contrast that to our booth! No question about what we were selling. People didn’t have to ask us what we do, they came into our booth because they were interested in making custom wallpaper. There’s more to doing a trade show than just showing up. If you give some real thought to what your booth is and does, you’ll have a lot better results. 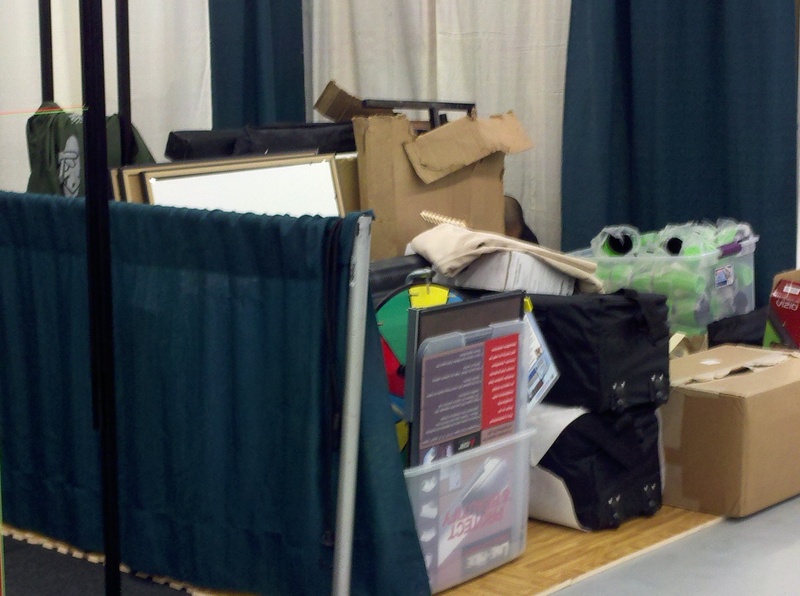 For a primer on doing a trade show effectively, check out our TradeShow 101 article. 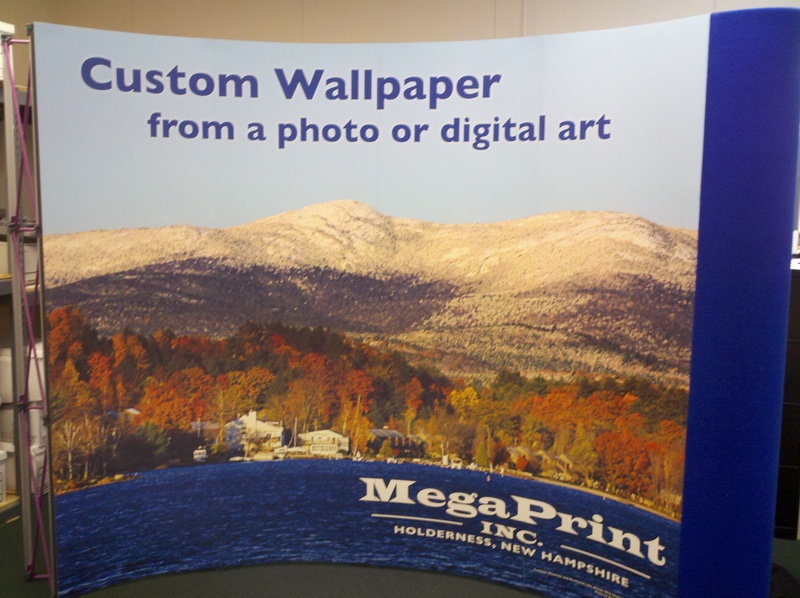 This entry was posted in Trade Show Graphics and tagged doing a trade show, trade show booth, trade show graphics. Bookmark the permalink.